There's quite a bit of tension between AT&T and T-Mobile. America's two largest GSM carriers have gone after each other in ads, on Twitter, and in court. 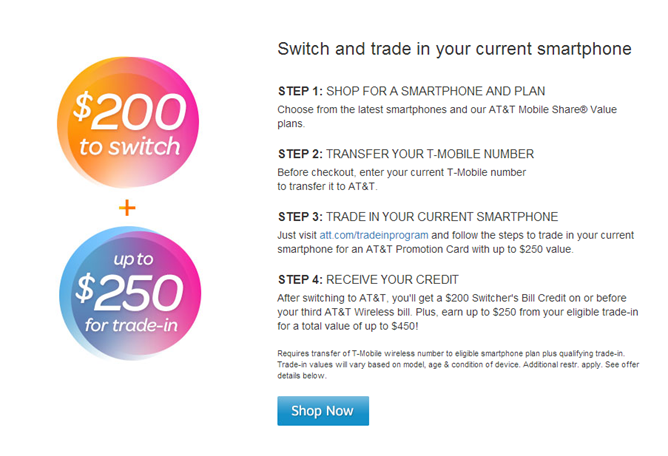 Now AT&T is willing to bribe pay customers who switch to the carrier from T-Mobile up to $450 in credit per line. Starting today, customers who take advantage of this limited-time offer can receive a promotional card worth up to $250 by trading in a smartphone. You can then get an additional $200 for transferring service, which should arrive by your third wireless bill. This deal applies regardless of whether you buy a new device or activate one you already own. 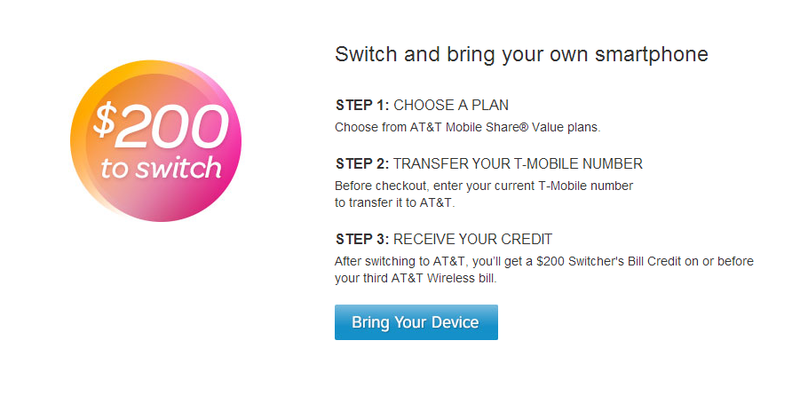 Depending on which T-Mobile plan you have, this deal won't necessarily save you any money in the long run. 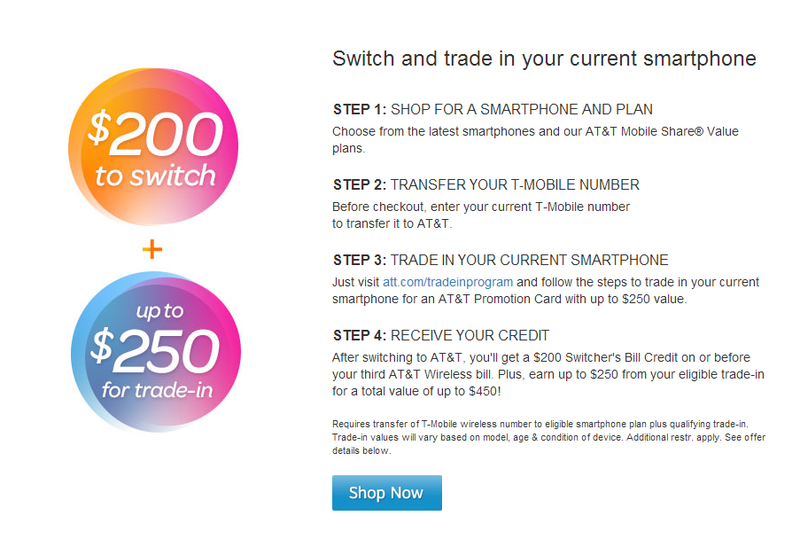 But if you were thinking of switching to AT&T anyway, now might be the best time to do so. And if you were considering switching from a different carrier? Sorry. AT&T still wants your money, they're just not willing to pay you for it.